What Is Vigor Ground Fitness & Performance? 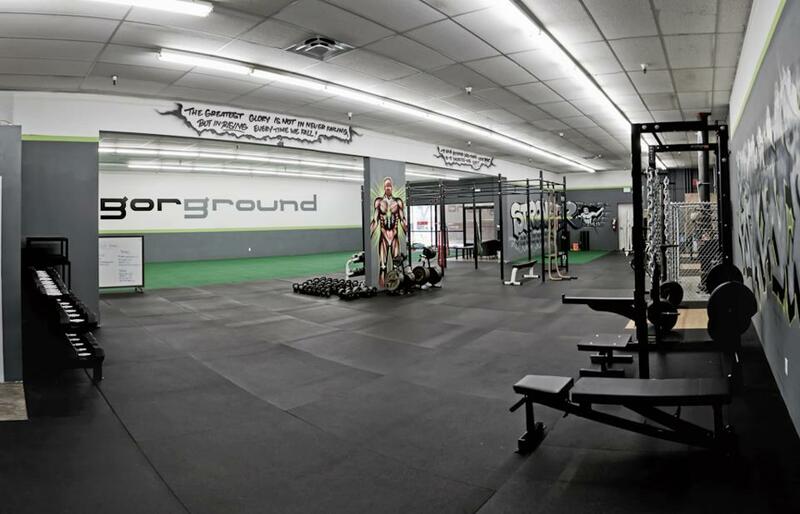 Vigor Ground Fitness and Performance Center is greater Seattle’s (located in Renton, WA) most results driven training facility. Voted by the people and other fitness professionals. We’ve been featured in every local paper, KOMO 4, Men’s Health in Europe, been voted amongst the top 3 personal trainers and boot camps in Western Washington two years in a row, and we are just getting started. I don’t say this to impress you but rather impress upon you that we dedicate every waking hour to getting people the best results in the shortest amount of time, as well as creating a completely unique gym experience. Everything in the 4,600 square foot facility is aligned with our team’s core values, putting our client’s results and relationships first and always looking to create an experience as unique as the gym itself. The gym has everything to fit the needs of creating amazing results, a fully functional pro-turf area for movement training and conditioning. Olympic platforms, bumpers, rigs, kettlebelles, dumbells, bands, dynaballs, strongman equipment and many more functional implements make sure that the programs are varied, fun and challenging. Above it all, nothing is more unique, important and different than our staff. They are passionate and care about every single individual that steps through our doors, with their purpose being changing their life through fitness. Constant never ending improvement (Kaizen) is another one of our core values which is why our team is constantly attending as seminars as well as presenting and speaking at them. We constantly pursue greatness in our field and will not settle for less. Because of this we are also recognized as one of the top gyms in the state of Washington for educational resources in the form of seminars, workshops and coaching programs. 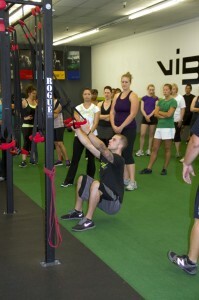 Vigor Ground Fitness and Performance is also the home of the award winning Renton Results Boot Camp. In short what does Vigor Ground represent…. Guaranteed Results. Relationships. Unique Experience. Constant Improvement. Vigor Ground Fitness and Performance and Renton Results Boot Camp were created by strength and performance specialist Luka Hocevar FZS , ISSA – CFT, RKC (with over a decade of experience in kettlebell training). Luka has spent his whole life in the training and sports industry. He is a former professional basketball player that played years in the European leagues as well as the NBA Summer Pro League. During his career Luka started his training career by openening a kettlebell training center in his hometown of Ljubljana, Slovenia, which has now grown to be the premier results based functional training gym in Slovenia and one of the top kettlebell training facilities in Eastern Europe. Luka’s journey continued to the U.S. to take his knowledge of training to the next level, studying everything he can get his hands on, as well as learning under some of the world’s top strength coaches while applying it with hundreds of clients in the real world. Over a decade of knowledge and training, as well as a lifetime of experience has come together as Vigor Ground Fitness and Performance. 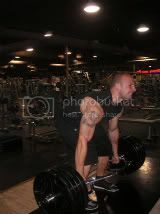 In the past decade he has become one of the top fitness professionals in the field and has had his gym featured in the European Men’s Health, has written for Stack Magazine, is one of Americas Premier Experts and is a national best selling author with “The Fit Formula”, which he co-authored with some of the worlds top fitness professionals. Luka also speaks nationally and internationally on topics such as effective and efficient program design, running successful results driven fat loss boot camps, basketball strength and conditioning, as well as fitness business strategies and how to build an extremely successful training facility. Adrian has been part of the Vigor Ground Team since March 2011. Though he’s been with the team just over a year, be brings over 20 years’ worth of health, fitness, nutrition experience under his belt. He’s a graduate of San Diego State University where he studied in the Department of Exercise & Nutritional Sciences and obtained his B.S. Degrees in Kinesiology with an emphasis in Fitness, Nutrition & Health and Athletic Training/Sports Medicine. Having played football as a quarterback, Adrian realized the demands of training, nutrition and recovery and the vital role that these 3 components played in optimizing athletic performance as well as building speed, strength and power early on. If the goal was to constantly improve, the need to exceed the expectations of traditional training while feeding the body the proper nutrients to grow and be strong would have to take precedence. This approach still holds true to this day. It wasn’t until after high school that Adrian’s passion for athletics and fitness found his way to his heart as he pursued a career as a fitness professional. He started taking classes in athletic training/sports medicine which gave him the foundation of assessing & treating injuries with the goal to take the athlete back on the playing field as soon as possible. Combined with the study of fitness, nutrition & health, this paved the way to merge both fields of study and embrace the best of both worlds – injury prevention and health & fitness. Adrian’s goal is to bring out the “inner-athlete” in everyone he trains so that they can reap the benefits of living healthy while maintaining an excellent level of fitness. The simple reason for this is belief that there’s an athlete in all of us. Train the athlete within, no matter your talent or skill level, and you can & will achieve peak performance. His training style integrates the most current, cutting-edge, real world results-oriented protocols that target the full body. “Train the body the way it’s designed to move” is his motto. He incorporates various training methods to his programming using a systematic approach of linear progression while using modalities such as: weights, sleds, ropes, sandbags, kettlebells, body weight vs. gravity, etc. Whether it’s fat loss, building lean mass, speed development or establishing great nutrition habits, Adrian can help you get to the next level while meeting all of your health, fitness and nutrition needs and goals. Cody McBroom is an extremely driven and passionate coach dedicated to Vigor Ground’s clients and reputation as an exceptional training facility. He is a certified personal trainer through ISSA and also studied Personal Fitness at Highline Community College, a program rated top in the nation by Livestrong, under one of our nation’s most knowledgeable trainers Tim Vagen. Cody has an athletic history in the sport of soccer which he played at an elite level for multiple teams. After a traumatic sports related injury to his left knee he was unable to be physically active. This led to him becoming out of shape, unhealthy, and eventually over weight. He did not like where his life was heading and decided he needed to make a drastic change. He decided to take matters into his own hands and learn about personal training, this led to a 40lb weight loss which changed his life. He then changed his entire attitude on life and the way his body should be treated and decided that he would spend his life helping others do the same. This is how and why Cody enrolled in Tim Vagen’s training program at Highline and then soon met Luka Hocevar also through the program, who then became his most influential mentor. 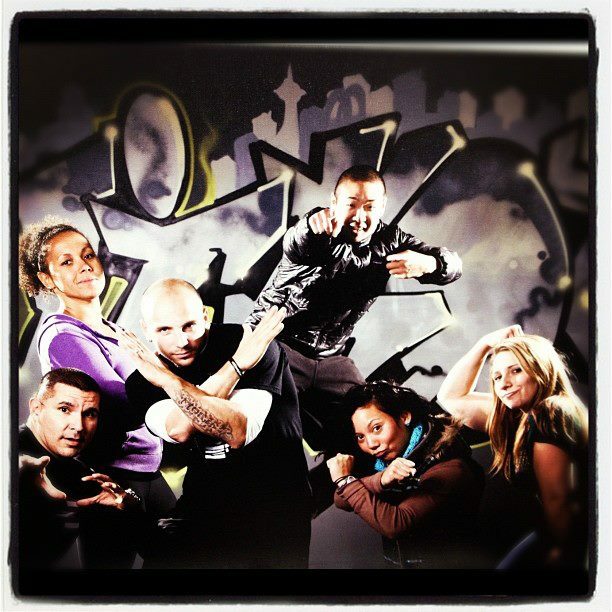 Now he is honored to be working under Luka as a trainer/strength coach at Vigor Ground Fitness and Performance.